The “best” restaurant in New York City doesn’t really exist, per se. Sure, Per Se is probably the best place to drop a bundle of money. And your nearest bodega is probably the best place for a hangover-slaying BEC. But that leaves a lot of room in-between for all your Big Night or Just Because dinners out. You probably have an all-time favorite and a few secondary go-tos for sundry circumstances -- and those places were once new to you, too. Almost any restaurant can be the best restaurant, depending on your needs. And sometimes, you need to check out the newest addition to our expansive culinary landscape before the crowds come. Here in the land of endless eating and drinking options, we have new bests popping up all the time. 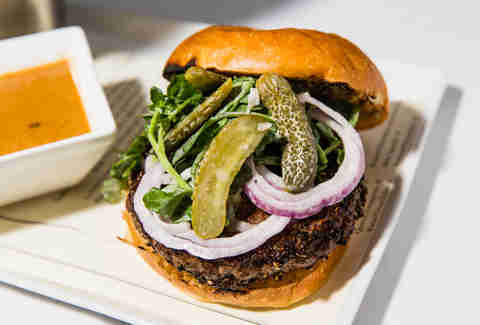 These are the most noteworthy restaurants that opened elsewhere in NYC this March. Get in quick, and see if you can find a new personal best birthday, anniversary, bon-voyage, big promotion, first date, last date, or special occasion spot among the crop. 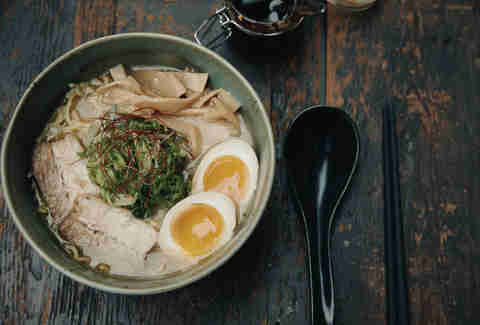 Then read on to reacquaint yourself with the classics, discover neighborhood institutions far from home, and revisit those erstwhile hotspots where you can finally get a table. Nothing is off the beaten path in Manhattan, but a few places manage to feel like they are. 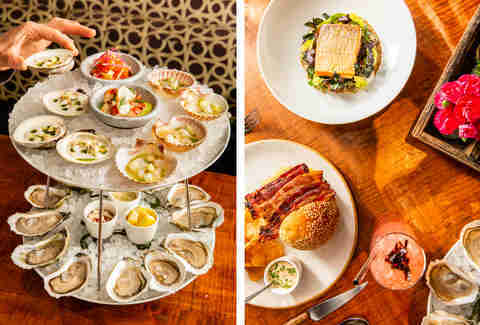 Crown Shy -- located on narrow Pine Street in the somewhat-sleepy-after-sundown Financial District -- strikes an intimate, secluded chord, in spite of its soaring ceilings, theatrically lit open kitchen, and 120-seat capacity. Entering through the marble, Art Deco lobby is like arriving at a clandestine celebrity wedding where invitations go out the day of and never mention nuptials. And the cocktails at its long, elegant bar are better than any couple’s signature drink. Tall drinks from the Crown section (each named for its base spirit) are copiously garnished. The Rye (pear, almond, Champagne) comes topped with a garden of mint, the Gin (grapefruit, walnut, ginger beer) is festooned with lemongrass, and the Vodka (cucumber, stone fruit, soda) is capped with tarragon. It’s a win whenever a real New York City institution sets up shop in tourist central. 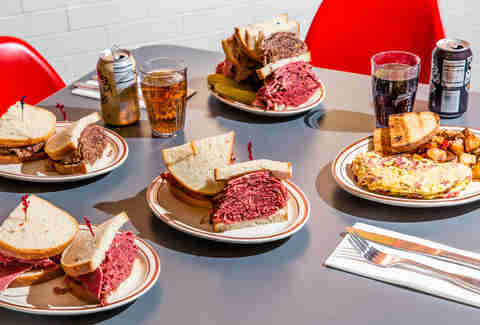 Pastrami Queen’s been slinging corned beef, brisket, and its eponymous smoked meat in one borough or another (Brooklyn, then Queens, then Manhattan, to be precise) for more than sixty years. 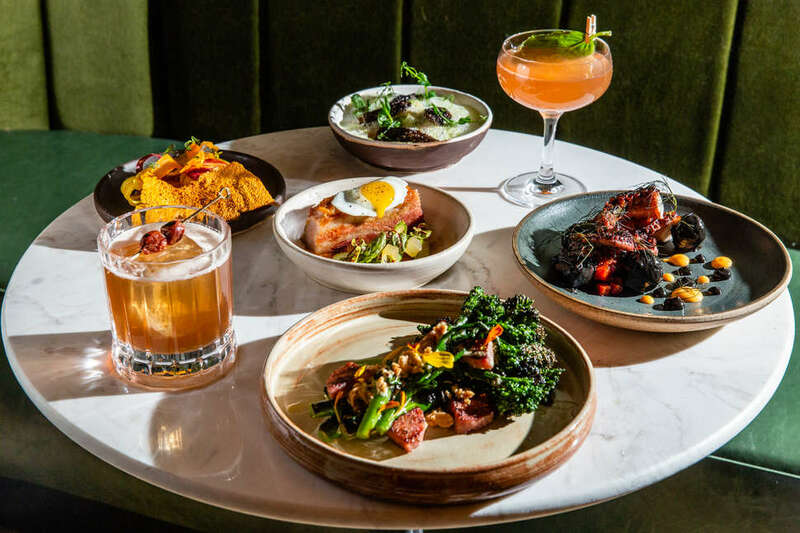 Its new Times Square spot enables even the least adventurous NYC visitors to taste some of our most famous local fare without leaving the relative comfort of the M&Ms district. The 81-seat delicatessen facsimile might even be big enough to accommodate locals, too. And its brisk and delivery operation enables even the least adventurous area office workers to finally eschew the nearby fast-casual chains in favor of smoked fish platters, matzo ball soup, knishes, pierogi, and multi-meal sandwiches without encountering any costumed characters. PQ No. 2 is also a terrific new post-theater option, provided you can beat the crowd. The floor to ceiling windows and bright but forgiving lights on Van Da’s sidewalk level give it a ‘this must be the place’ quality, rather than a fishbowl effect. Downstairs feels like its own destination: darker, more secluded, probably a better place to have an affair. Space is tight on both floors -- you might get boxed in if you sit at a romantic table for two in the corner -- but the cocktails and eclectic Vietnamese offerings are so good you’ll be happy to keep ordering until the place clears out, anyway. Even at a new spot, it’s easy to revert to your typical tipple. Skip your standard in favor of Van Da’s eight libations. The Turtle Tonic incorporates cucumber juice and mint to make a basic springtime sipper even more lively, the HoChiSmokey (mezcal, Thai chili, mango, aperol, lime, shiso salt rim) is a peppy take on top of a take, and the District 1 Fashion (bourbon, dried green banana, palm sugar, and cardamom bitters) will slake the most committed Old Fashioned drinkers’ tastes. Wine and beer offerings are limited, but they’ll get the job done. Plates are meant for sharing, but they’re all a little hard to part with. 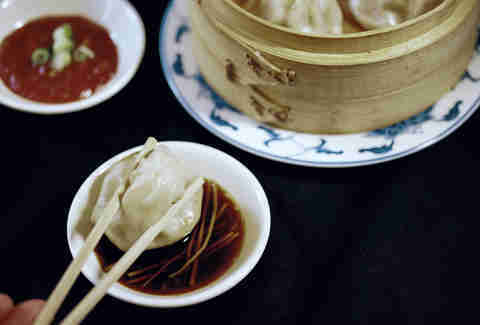 The shrimp and pork tapioca dumplings’ texture is an addictive zag from the common flour wrapper. Fresh, clean bites of the lemongrass beef tartare will win over raw meat skeptics. And the grilled eggplant with spiced lamb and shiitake mushrooms is a disappearing act of cleverly tangled textures. One apparent gimmick is a standout among standouts: The pho short rib grilled cheese with caramelized onions and provolone is good on its own, and great when dipped in its accompanying shot of sippable pho broth. When Red Hook Bait & Tackle closed after 14 years, it was a loss for the neighborhood. And any time a venerable institution gets priced out, locals naturally worry about what kind of place will follow. San Pedro Inn does right by its space’s prior occupant. It would take a new York commercial real estate lifetime to accrue the grit, clutter, and dead (taxidermized!) animals Bait & Tackle earned over the years, but San Pedro’s efforts -- a collage of vintage-ish ads, prints, and banners on the south wall; a well-stocked but unadorned bar just a few strides away on the north wall -- create a decent facsimile without veering into theme. The margaritas here are good. Eight draft beers include Miller High Life. You can order tacos (carnitas, carne asada, lengua, mushroom), tamales (rojo, verde), tostadas (sour cabbage, frijoles, fluke ceviche), and quesadillas (cheese, mushroom) from the kitchen in the back if you get very hungry and don’t want to give up your seat. And on a recent long Saturday afternoon, disparate parties at the bar were all chatting like old friends -- perhaps the best homage to a beloved predecessor any newcomer could hope for. There’s plenty to see at Ardyn, and a few different ways to see it. Slink up to the sleek, white quartz bar, nab a spot overlooking the leafy mural in shades of chartreuse and saffron, and sip a lightly effervescent Spring Mar-bae-uh (gin, muddled blackberry, ginger, lime, pea flower extract, prosecco), a sweet Barrel and Blossom (bourbon, port wine, cherry compote, brown sugar, rhubarb bitters) or a juicy Grapefruits of Wrath (vodka, pamplemousse liqueur, strawberry, grapefruit, agave). Colloquially known as mac & cheese, macaroni and cheese stays with the mercifully lactose tolerant throughout evolving stages of life. It’s a childhood favorite, an adolescent convenience, and an adult throwback comfort. It’s perfect on its own, prepared with the very ingredients that give it a name. It’s even better when you can put stuff in it. Murray’s Cheese was trading in dairy on Bleecker Street for nearly 80 years before opening this pop-up next to its flagship shop. Don’t hate the wait -- drop in now for bowls of carbonara (fontina, mozzarella, pancetta, peas), French onion (gruyere, raclette, caramelized onion, and a bacon twist), or mix and match from dozens of cheese, veggie, meat, sauce, and topping options to create your own signature mac. The bright, simple space has fewer seats than possible combinations, so take it to go and nosh in nearby in Father Demo Square. Chinese Graffiti’s quiet opening quickly beget the most divisive menu item of the year: pork belly cotton candy. A cloud of pink spun sugar envelops a lightly crisped bite of Berkshire pork. Unravel the sweet carnival staple and let it dissolve on your tongue before you bite into its excellently executed interior and you’ll have a shot at enjoying the novelty. Have it any other way and you might end up in the Daily Mail. The bigger headline here is that the bar -- lit by the crimson glow of neon Chinese characters -- is making do with beer and wine, conjuring cocktails out of lower-alcohol spirits. Fortunately, the Tini (suju, amaro, orange mist), Sour (soju, tea, peach, lemon, and lime juice), and Negroni (sherry, sweet vermouth, grapefruit juice, sparkling wine) all sip easily with five types of serviceable dumplings, unexpectedly creamy, generously plated lobster wok pasta, and octopus and pork belly in ginger miso butter. At first blush, Niche Niche sounds a little high concept: Every night, a different expert host from the world of wine curates a four glass flight; the ever-changing menu is fashioned after each host’s vino selections; and it’s all supposed to flow like a dinner party for a dozen and a half diners. But if you take a deep breath and remember that you aren’t the one tasked with keeping all these balls in the air, you’ll enjoy a novel experience that’s a bit more entertaining than your typical dinner out. Not knowing what food or drink to expect is part of the fun, and $80 isn’t too bad for four courses and a wine pairing in this town. 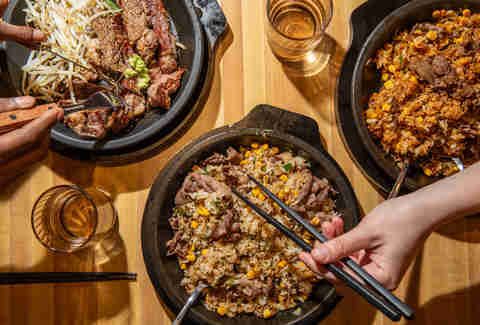 From the folks behind Ikinari Steak, Pepper Lunch’s first NYC location is a terrific alternative to Midtown West’s standard fast-casual work week lunch spots, a great place for a casual bite after a show on the northern end of the theater district, and a nice spot for a nosh after you’ve overindulged at a nearby happy hour. 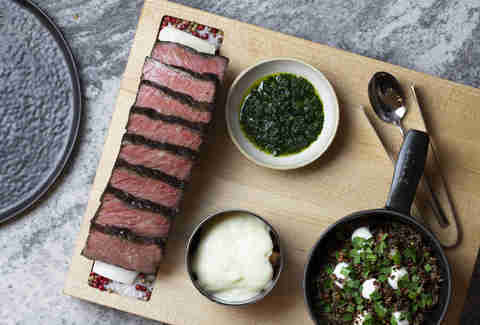 Raw ribeye, angus, and sirloin steak, chicken, salmon, and eel are plated in sizzling cast iron skillets to cook through to your desired level of doneness right at the table. They cook quick, too, so ask for a side plate if you prefer your protein on the rare side. Even without the family name, a visit to Cedric Vongerichten’s French-Indonesian Spring Street spot would still be worth shaking up your dining out routine. Novel cocktails like the Greater Galangal Sour (Scotch, chickpea water, galangal) and South-East Sweet Tea (bourbon, red tea, honey, smoked salt) are speedily prepared in the urban-beachy bar area. You’ll be satisfied from any seat in the house, but scoring a booth in the similarly fashioned back room is like hitting the jackpot. Start with small but hearty plates of plump shrimp satay, peekytoe crab cake, and clams, followed by larger dishes of lobster noodles, and falling-off-the-bone baby back pork ribs. 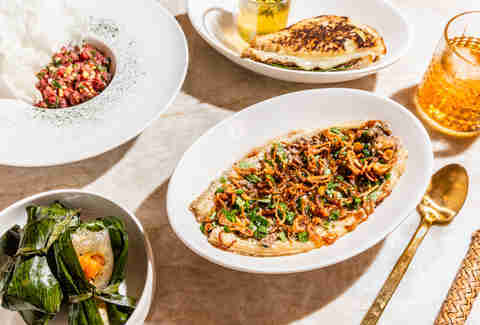 If Frenchette shot to the top of your must-go list when it opened in 2018, the good news is you have excellent taste: it shot to the top of nearly every NYC critic’s ‘Best Of’ list by the year’s end. 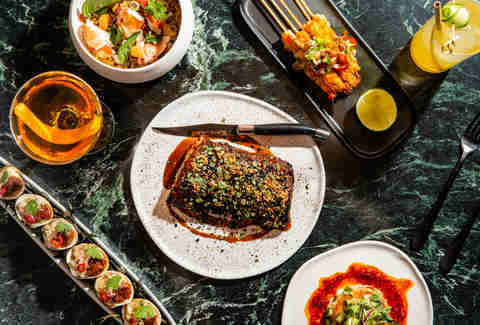 The bad news is, if you didn’t go then, you may have to wait until the neutral-hued, understated restaurant’s lingering buzz flatlines. 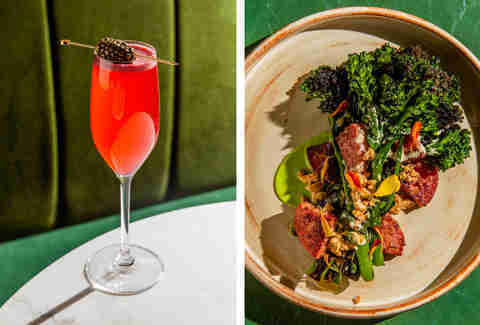 Plan a visit for spring, 2021 -- or, try your luck at scoring a walk-in table for a chance to try the rich liver pâté on charred bread, perfectly pink, perfectly fatty duck and accompanying frites, carefully curated wines, and novel cocktails. Oxomoco earned its Michelin star at lightning speed, and it only takes one visit to understand why. 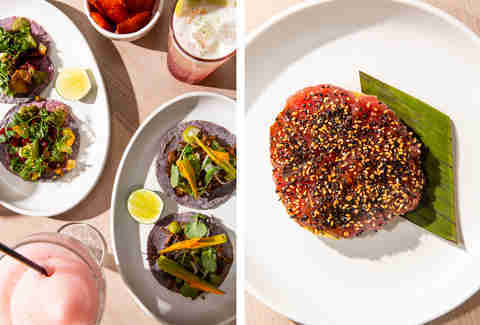 The grilled maitake, chicken al pastor, pork cheek carnitas, and lamb barbacoa fillings make every taco Tuesday an affair to remember, and frozen cocktails infuse the tightly packed, but relaxed, airy, space with even more levity. 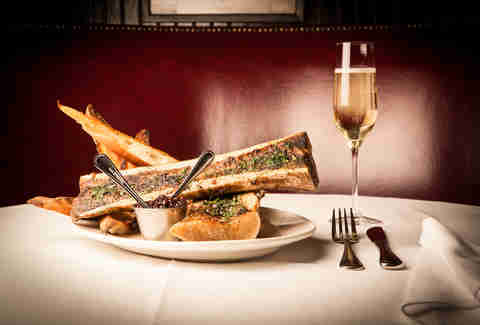 The steak for two cements this as one of the best restaurants in New York City. 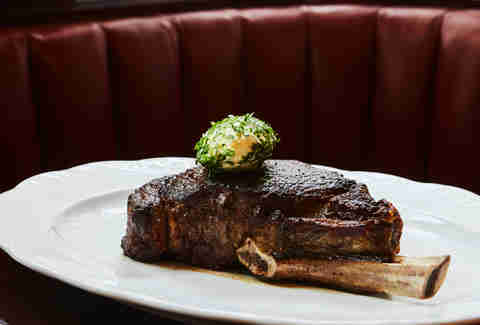 The star of 32-oz dry aged bone in ribeye is its fat, which has a silky, bone marrow-like, melt in your mouth texture. Occupying a seemingly “doomed” storefront on Smith Street in South Brooklyn, Ugly Baby appears to have broken its location’s spell. Crowds abide a no reservations policy and long waits to test the average human palate’s spice tolerance. 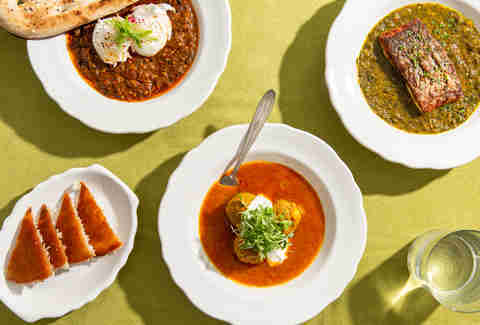 Assume everything here will be hot: the five spice pork leg stew will be hot; the duck salad will be hot; and the southern dry eye round curry will be “brutally spicy.” Cool down with selections from the wine and beer menu. 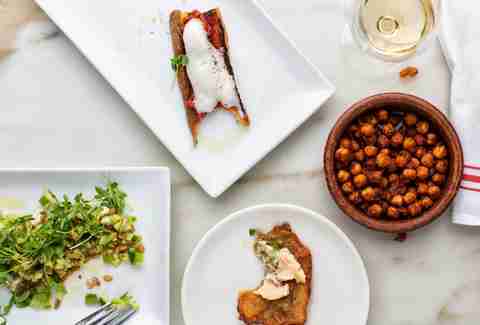 A cafe by day, Lillo is easy to love in spite of itself. It doesn't take reservations, so aspiring guests line up outside for shots at about a dozen and-a-half seats. After a brief, unofficial BYOB period was kiboshed, it’s a dry house. There is no bathroom. But the place and its eponymous owner are so effortlessly charming that every plate of cacio e pepe, fettuccini with speck and zucchini, and whole branzino seems special. The wait times at ROCK have dwindled from 2.5 hours even in freezing weather to a far more manageable 30-some-odd minutes since its 2016 opening. That’s enough time to have one drink nearby without getting blotto before your pork belly, chicken, or veggie ramen dinner. Blow that unintentional sobriety on aesthetically pleasing cocktails like the smoke (served literally smokin’), pineapple (set alight), and lychee (sipped out of an upturned lightbulb). Catch Montauk vibes without leaving the five boroughs at Greenpoint Fish & Lobster, where no fewer than six varieties of oysters bathe in ice atop a marble bar. The decor -- all non-porous, gleaming white surfaces -- is as antiseptic as you’d hope a place in a place dealing with so much raw fish would be. 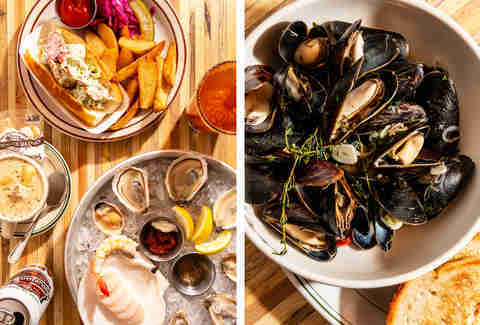 Sidle up to the bar and wash down those bivalves, cups of chowder, mussels, and whole steamed lobsters with cans of Narragansett and micheladas. Astoria Seafood allows would-be seamen to choose their own fishventure without committing to the sailor’s life. Expect long lines for affordable plates of fresh-as-it gets scallops, calamari, shrimp, octopus, and whole fish catch of the day, that you’ll choose from a bin and send to the kitchen to get baked, pan seared, or fried. Only the bravest will test the limits of Astoria Sea food’s BYOB policy and start sipping from plastic cups outside while they wait. 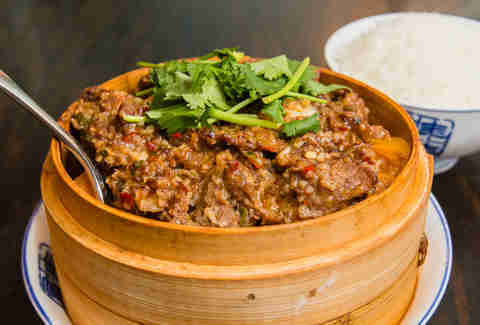 As evidenced by the teeming crowds, Cafe China is worth a trip to Midtown -- even if you have to push past the Herald Square shoppers or Grand Central commuters to get there. The casually stylish Michelin-starred restaurant has been turning out perfect plates of ma po tofu, fiery three pepper chicken packed with chili peppers, delectable duck dishes, and ambitious cocktails since 2011 with no signs of slowing down. Lists of the best restaurants in Red Hook are a laugh riot. There are only like 10 of them. But Fort Defiance is truly the best, and it’s great for brunch in particular. 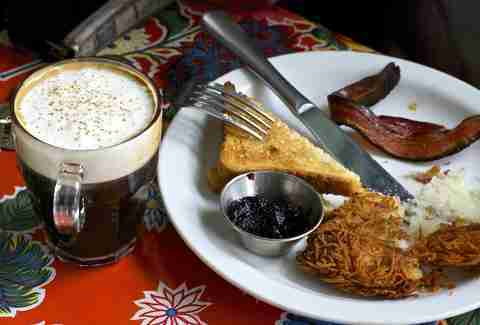 Pair the bracing best Irish coffee “in the known world” with the All-American (two eggs any style -- get them scrambled -- toast, and the most delicious hash browns ever created by humans) before you switch to an Other Half so you can actually get something done over the weekend. 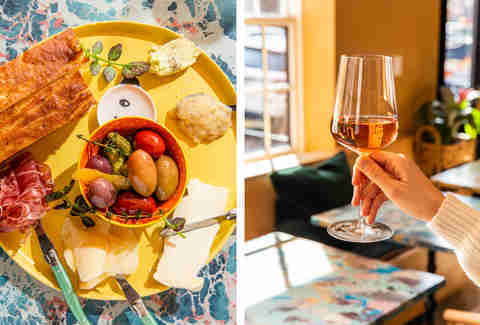 Next to nothing in New York City is off the beaten path, provided you’ve got a smartphone and access to some form of transportation, but Vinegar Hill House comes close. If you haven’t heard of Vinegar Hill, it’s the one next to Dumbo. If you haven’t heard of Dumbo, welcome to town, and this is the first stop in Brooklyn off the F train. Vinegar Hill House personifies the neighborhood, nodding at nautical design elements without veering into themes, with plenty of “reclaimed” materials and even a damn cherry tree out back. But its preciousness seems incidental rather than cloying, the food is better than good, and the one-step-less-than-convenient location will impress your out of town -- or even out of borough -- guests. Get the pork chop and a rye-based Vinegar Hill cocktail. This is the best cheap-ish sushi in town, and it’s BYOB. Who knows how long it takes to get even one little sushi roll named after you here (apparently 10 years is too soon), but bites of the the Owen roll (eel, “crunch,” and crab meat), Hal n Nancy roll (spicy tuna, shrimp, avocado), and Helen roll (salmon, avocado) are enough to allay any jealousy. Pair them with a cheap bottle of whatever cures what ails you and you’ll have a great lunch or dinner for a song. “Show up before 5. Put your name on the list. Go have a drink. 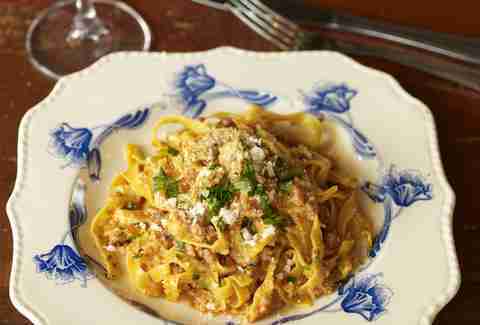 We’ll call you when your table is ready,” reads Lucali’s website. Surely you jest, is a reasonable reply. But even after more than a decade in operation, Lucali still draws throngs willing to congregate at nearby bars for a taste of barebones pizza with basic toppings like pepperoni, mushrooms, onions, and hot peppers. Is it good enough to merit a possible 3-plus hour wait? At least once. Don’t let anybody tell you this isn’t a taco town. 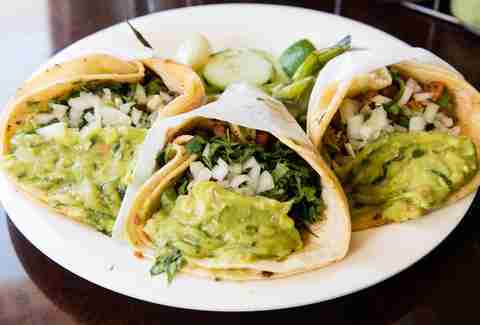 We’ve got oodles of options, and Tacos El Bronco is the one to beat. 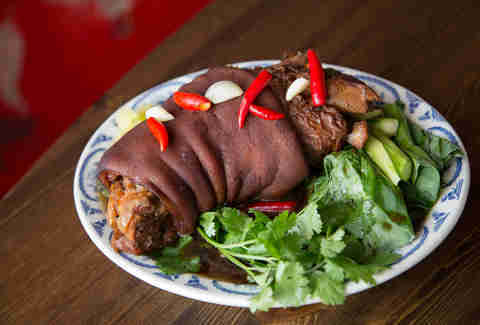 Pork skin, veal head, tongue, and tripe varieties, as well as your more basic options like steak, chicken, chorizo and barbacoa will only set you back a few bucks, and the enchilada, flauta, and burrito platters that sprung from the spot’s food truck origins are each feasts fit for for a king. Every neighborhood has a great local treasure, and you’d be lucky to call this yours. It’s a little too pricey to be an every night affair, but it’s an ideal choice for date night, a milestone celebration, or a visit from the parents. 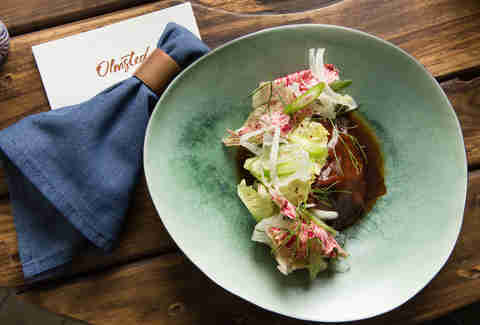 Elegant orders of oxtail, rotating risotto, and braised rabbit betray shabby-chic, intentionally distressed interiors. Congee Village is an all around good-time palace, great for groups and a solo lark alike. Some cocktails arrive hilariously neon-hued, but are drinkable nonetheless. Ironically, the congee (a “gruel of boiled rice and water”) is far from the best thing on the menu. Try it if you must, but be prepared to leave more than a few bites on the table and move onto orders of abalone, sea cucumber delicacies, relatively uncommon duck blood and goose intestine dishes, and pork, chicken, steak, shrimp, and scallop standards. 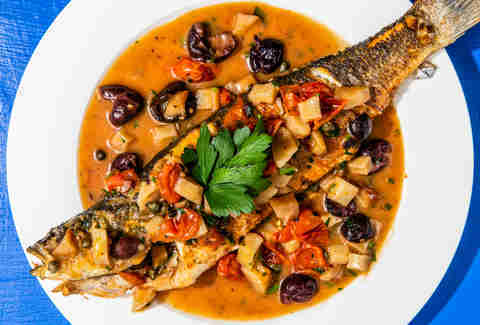 It’s no secret that Astoria is home to the finest Greek food in NYC, and Taverna Kyclades is the best of the best. After more than 20 years in operation, you’ll still wait for a table unless you can sneak off to Queens on your lunch break. Come by whenever you can for tender bites of grilled octopus, unforgettable swordfish kebab, the neighborhood favorite anchovies, baby shark to write home about, and a half carafe of the house wine if you plan to get back to the office -- or a full one if you don’t. 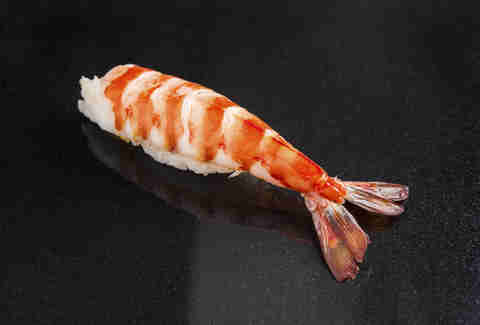 Did Petite Crevette’s owner "throw" a live lobster at a patron who’d complained about his order’s freshness? Kind of!? Hit an ATM (it’s cash only: boo) and a wine shop (it’s BYOB: yay!) and go anyway, as the excellent, eclectically decorated (rather than designed) little eatery does not seem to have endured (enjoyed?) such a dramatic display in the intervening decade. Order the expertly prepared whole fish, scallops, soft shell crab (when it’s in season), or even the lobster cioppino -- if you dare. Nobody’s here to judge, but if you’re out in the East Village past 3am here’s a bit of wisdom: Nothing very good happens after 2:45; there are not secret parties raging without you; and a little comfort food will probably do you some good. 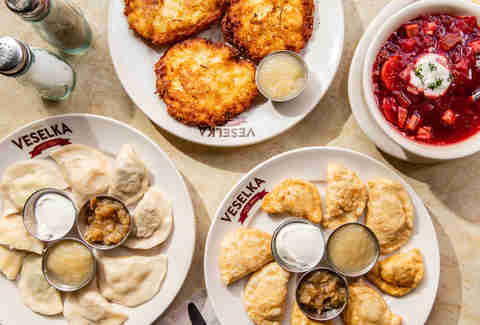 Gird yourself against tomorrow’s hangover with a pierogi smorgasbord, latkes, and borscht. And maybe stick to water, chief. 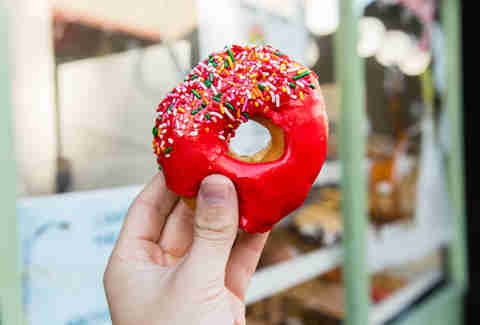 The smell of sweets, the caffeine kick, and the powdered sugar that’s likely to stick to your nose and eyelashes are all in the air at this old-school doughnut shop. Peter Pan’s puffy delights in every variety known to man somehow still clock in at under two-bucks each, the coffee is as strong as it is cheap, and the service is as quick as you need it to be in order to catch the G train back to wherever you came from. My father in law saw this nearly century old mainstay on the Food Network and the family keeps promising we’ll go next time they’re in town from Philly. Sorry, Big Tom. Soon, we’ll order the Vinny D (grilled Italian sausage, broccoli rabe, grated parm and ricotta), the Italian stallion (prosciutto, fresh mozzarella, fried eggplant, roasted peppers), and the Nicky special (ham, capiolia, salami, provolone, and fried eggplant). And we won’t even compromise and go to the slightly more convenient Brooklyn location instead. This classic red-sauce joint predates Williamsburg as we know it. The cozy, legitimately unpretentious bar up front is worth visiting even outside of a throwback Italian dinner, and the large dining room looks like it was designed by a '50s-era teenager shooting for elegance: bedazzled chandeliers bathe the space in light, paintings of dubious origin hang beside dramatically draped windows, and white tablecloths dare you tangle with family-style plates of chicken parm, veal marsala, and spaghetti and meatballs. 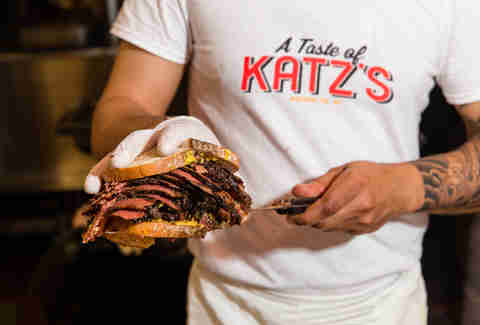 Katz’s isn’t exactly the Empire State Building of NYC restaurants. Maybe it’s more like the Brooklyn Bridge: an iconic tourist magnet that also benefits locals. The schtick here -- they track towering, 30-day cured corned beef, pastrami, brisket sandwiches, and anything else you order on a paper ticket that you must present to exit -- has probably outlived its usefulness, but you try changing once you’re 130 years old. Amber Sutherland-Namako is Thrillist's New York editor.